We have about a thousand meyer lemons on our tree and we are always looking for interesting things to do with them. 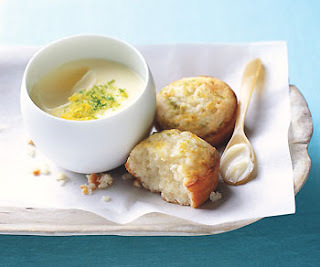 My coworker Kevin just sent this recipe for Lime and Lemon Posset with rave reviews. I plan to give it a try soon. Too bad I didn't know about it before my fiance had his wisdom teeth out - this would have been a sweet treat for him. "I made this the other night. Ridiculously simple, and ridiculously good. The texture is amazing; I didn't think it would work so well."